The Fluence Z.E. is slightly longer than the internal combustion version, so the lines of its flanks have been revised to maintain the same overall balance as the original version. CANNES, France -- Renault will target businesses who want to improve their green image with the Fluence Z.E. compact sedan, according to Stephen Norman, the automker's marketing chief. The model is a battery powered version of the Fluence sedan which Renault builds in Turkey. The Fluence Z.E. has a range of about 185km and targets customers who drive less than 200km per day. Total ownership costs will be cheaper than the combustion-engine version of the Fluence when driven 12,000 to 15,000 km a year, Norman said at a press event to launch the car here. "The Fluence Z.E. key features are simplicity, green credentials, and the cost of ownership. There plenty of people who are satisfied by those credentials," Norman said. He declined to specify sales targets. In countries with electric car incentives, the Fluence Z.E. will sell at prices similar to those of comparably powerful diesel versions of the model. In France, for example, prices will start at 20,900 euros after a government 5,000-euro tax incentive is deducted. At 4750mm. the Fluence Z.E. is 130mm longer than the internal combustion-engined version to accommodate the 250kg lithium ion battery pack behind the rear seats. It is same width as the internal combustion engine Fluence and has cabin space comparable with a sedan from the next segment up, Renault claims. 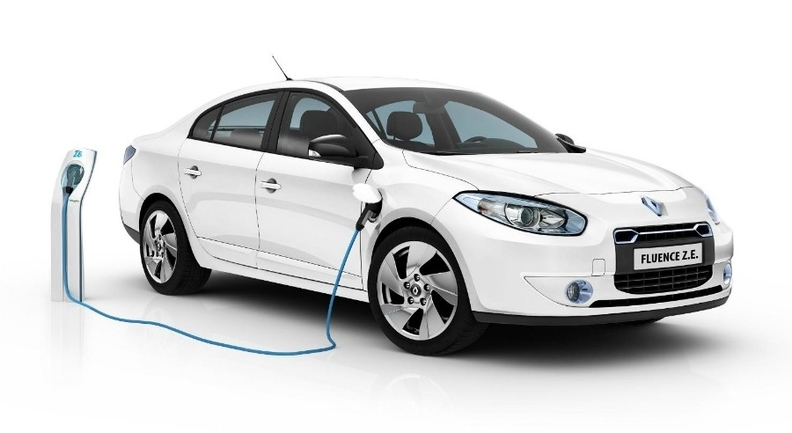 The Fluence can be charged from a domestic electric outlet and in Denmark and Israel, where Renault has reached agreements with Better Place, Fluence owners can swap the battery in less than five minutes at battery exchange stations. The Fluence Z.E. is one of four EVs Renault is launching over the next 12 months as it seeks to become the leader in electric car sales with its partner Nissan. Renault expects to produce 200,000 EVs a year and plans to have an EV capacity with the Renault-Nissan alliance of 500,000 units by 2015. A battery-powered Kangoo car-derived van will launched in Europe in October.. The Twizy, scooter-style two-seater arrives later this year December.The Zoe hatchback, which will represent Renault's main EV model, launches in the middle of 2012.